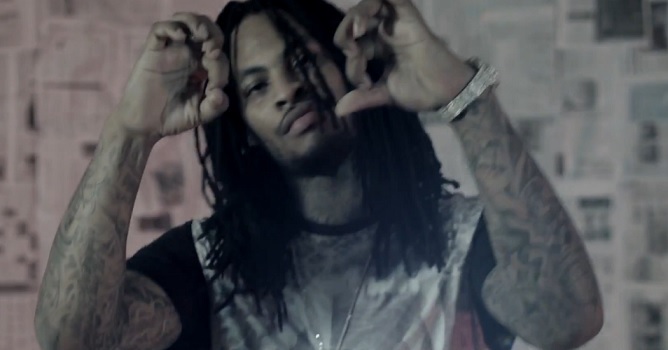 Waka Flocka Flame is back with a new music video for his energy packed street anthem titled “Obituary.” Teaming up with rapper Whoo Da Kid for a collaborative joint, the visual finds both artists dropping aggressive bars as they take shots at the competition. The music video also showcases somewhat of a suspense theme as bits and pieces take place in what appears to be a mental institution like environment. “Obituary” is featured on Waka Flocka Flame’s new Roaches To Rollies mixtape currently out now. This entry was posted in Music, Video and tagged hip hop, Music Video, obituary, rap, Waka Flocka, whoo da kid. Bookmark the permalink.